Peepmatches یک اسکریپت دوست یابی بر پاییه PHP میباشد. شما با این اسکریپت میتوانید یک سایت دوست یابی با امکانات بسیار بالا و ویژگی های شبکه های اجتماعی ایجاد کنید. با این اسکریپت شما میتوانید یک سیستم دوست یابی و شبکه اجتماعی مانند سایت های Badoo و twoo راه اندازی نمایید. Peepmatches v1.1.0 is a Premium Responsive Advanced Dating and Social PHP Script. With this Script you can Build a creative and unique dating site with social networking features with peepmatches light software. peepmatches light has a new idea, because it collect dating sites features with social impression. it mean that with this software you can build your own dating site like badoo, twoo but it looks like social networking websites since they collect social networking features such as notifications, newsfeed, etc. 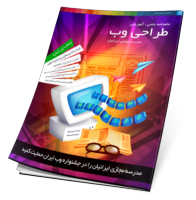 for more information about this PHP Script Please click On Demo Button.